A while back, Tommy headed out on an antiquing trip, and found an unusual advertising Converse patent. This one bearing advertising for FRANK RIPLEY WHISKEY BEST FOR FAMILY USE, L. HEINEMAN JAMESTOWN N.Y. I didn’t have this example, so this afternoon over a brief back and forth, a deal was made and another advertising converse has been added to the collection. That said, the advertisement has been added to the Converse page! ALAMEDA COMPANY, WINE AND BRANDIES, 104 TREMONT STREET, BOSTON, MASS. CW GRIFFING, WHOLE SALE LIQUOR DEALER, FARRELL, P.A. FRANK RIPLEY WHISKEY BEST FOR FAMILY USE, L. HEINEMAN JAMESTOWN N.Y.
LEHMANN’S RYE – ARTHUR LEHMANN & CO. – PEORIA, ILL. 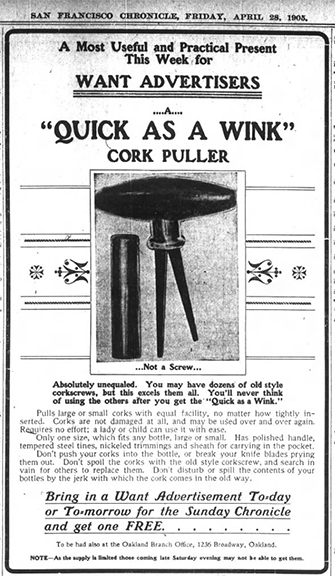 Speaking of advertising, I recently ran across another advertisement for the Converse “Quick as a Wink” cork puller, this one in a 1905 issue of the San Francisco Chronicle. Only one size, which fits any bottle, large of small. Has polished handle, tempered steel tines, nickeled trimmings and sheath for carrying in the pocket. Don’t push your corks into the bottle, or break your knife blades prying them out. 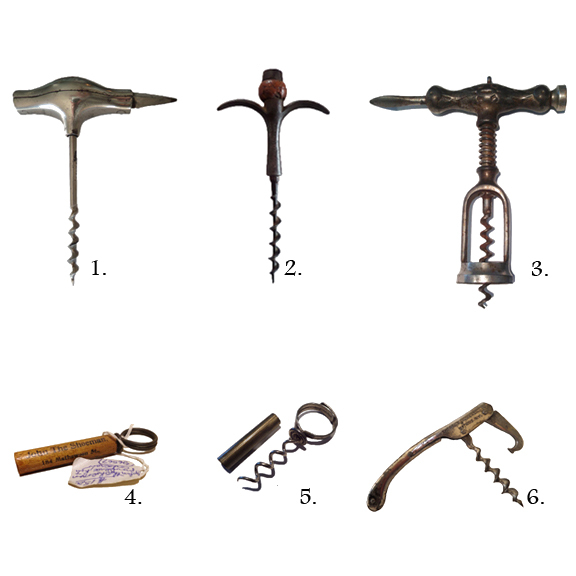 Don’t spoil the corks with the old style corkscrew, and search in vain for others to replace them Don’t disturb or spill ontents of your bottles by the jerk with which the cork comes in the old way…. best six (wish list) for 2015! 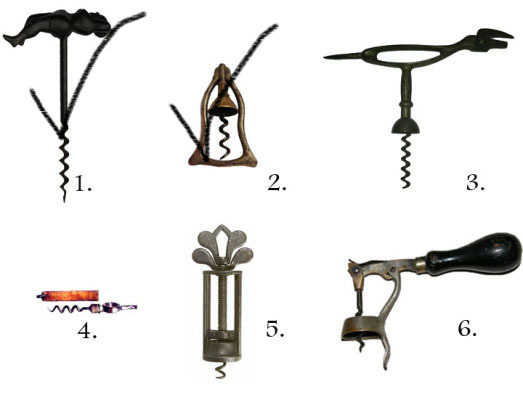 What corkscrews will make the best six for 2015? You never know what might turn up, but in 2013 I published what I had hoped would make my best six for 2014. And, I actually managed to get two of the six. I was thrilled how the best six ended up. Who would have thought that a signed Byrn or wire/bow Puddefoot would have made their way into the collection! Still, why not put it out there. So let’s see if we can make this happen. Here is the Best Six (Wish List) for 2015. Let the corkscrewing around commence! And, if you live in Maine (and possibly New Hampshire) you are quite familiar with the sing-song-slogan for Marden’s stores. 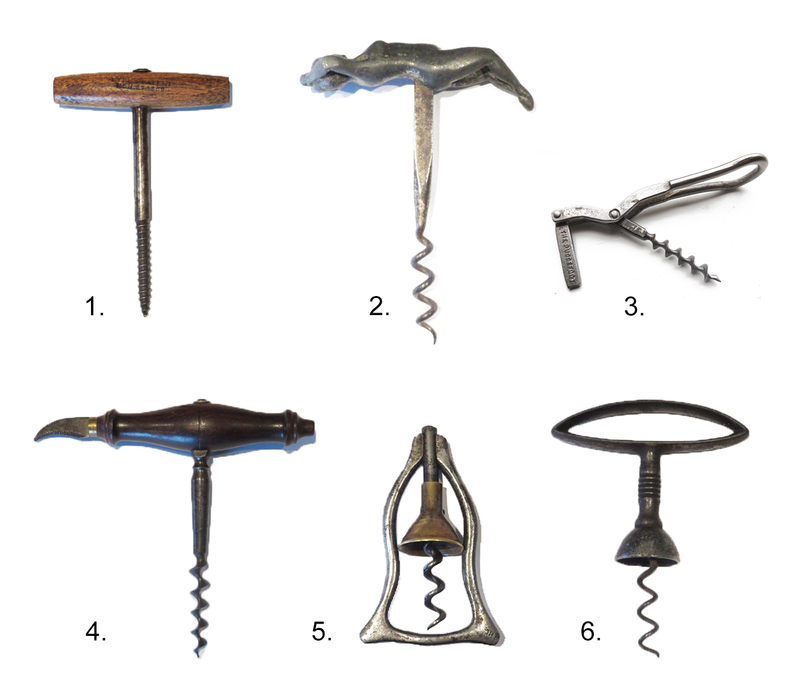 A couple of days ago, I was sent an email with images attached, asking if I would be interested in a small collection of corkscrews. After going through the photos, I did see a couple that did interest me. So, we arranged a phone call, and struck a deal. With the two of us being in relative proximity, the plan we came up with, went something like this. 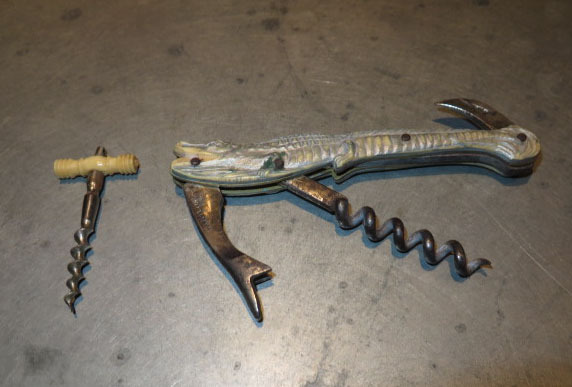 The seller would take the two corkscrews and put them in a package with my name on it, in a bowl, on a shelf, in a case, at Cliff’s Antique Market, in Scarborough Maine. 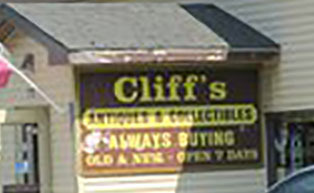 I would then hop on the boat, hop in the car, and drive a couple hours to Scarborough, and then get someone (presumably Cliff) from behind the desk to retrieve the package with my name on it, from the bowl, from the shelf, in the case at the antique mall. And, I would be paying cash. With an errand to run on the mainland, yesterday was to be the day of the drive and purchase. After hopping on the first boat, and hopping into the Mini, and running the aforementioned errand, my phone rang. It was the seller, that explained the plans had changed, and that she wouldn’t make it to the antique mall. 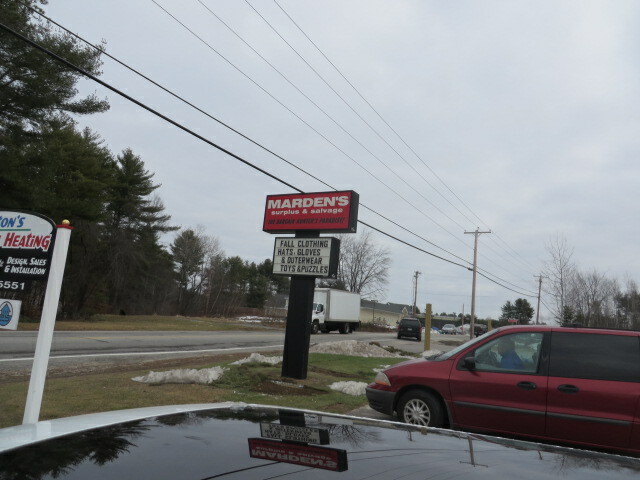 Instead, we figured out another place to strike the deal, and she asked if we could meet at Marden’s in Gray, Maine. We talked a little bit about what the other person was driving, and I explained that I would be the one with the carnation in my lapel. As it happened, we literally got to the Marden’s entry at the same time, with she (driving her red van) getting ready to turn right into the parking lot, and I getting ready to turn left into the parking lot. In short order, we pulled in, exited our vehicles, and exchanged pleasantries. And, after talking bit, she handed over the corkscrews to be examined. A celluloid alligator, and a small perfume corkscrew. The alligator, has no cracks, and the opener, blade, and worm have a good snap to them. 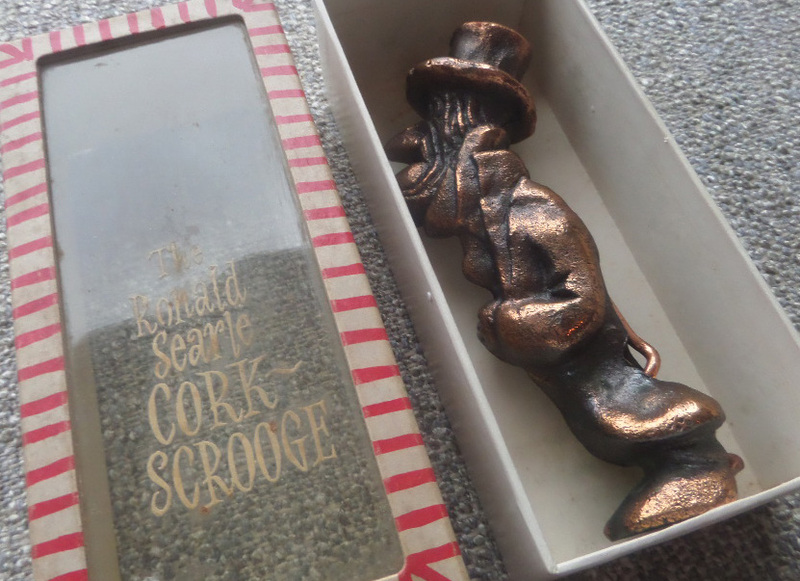 Taking Marden’s catchy advice, “I should of bought it, when I saw it, at Marden’s,” I handed over a small stack of cash, and we talked a bit more about other corkscrews she might have, and bit about our collections, eBay, and similar. A genuinely fun deal! Saying goodbye, for now, we both climbed back into our vehicles and each departed the Marden’s parking lot. Arriving back home several hours later, I went to find the other alligator waiter corkscrews in the collection. 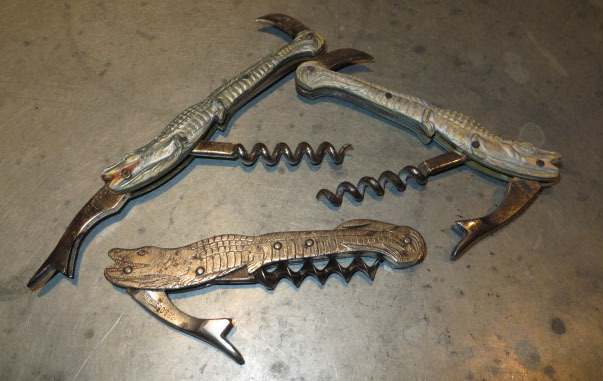 Look, a congregation of alligator corkscrews! Thanks for the deal Sue! When you find those ladies legs, drop me a line! When we visited John and Martha during the ICCA meetings, amongst the many corkscrews available for viewin,g was a fantastic example of the Frary Sullivan Bar Screw. Now, I have seen another example of the Sullivan, but this is the first I have seen that is actually signed Frary. This is definitely one that is on the wish list. John just published his best 6, and the Frary Sullivan made the cut. Truly a fantastic piece, he was gracious enough to allow me to use it on the website. 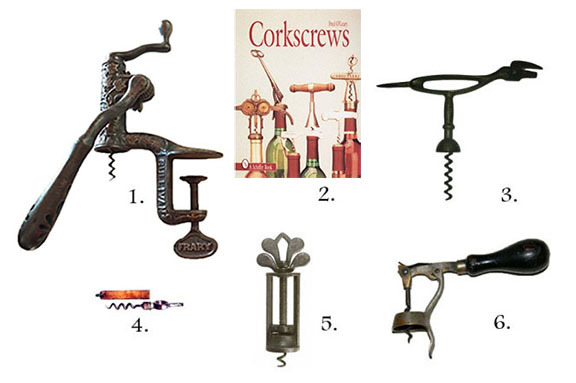 the corkscrew is inserted in the cork by means of the handle at the top of the puller, when,by raising the lever or principal handle, which, by means of thegears attached to it, is connected with the rack to which the corkscrew is attached, the cork is easily extracted. It will be seen that the cork-puller has a clamp attachment for fastening it to the counter of shelf. The screw is described as made of the best cast steel, hardened and tempered. This puller is made in two styles, ornamented in Berlin bronze and nickel-plated. The simplicity and strength of its construction, its ornamental appearance and the efficiency of its working are the points in regard to which are emphasized by the manufacturer. 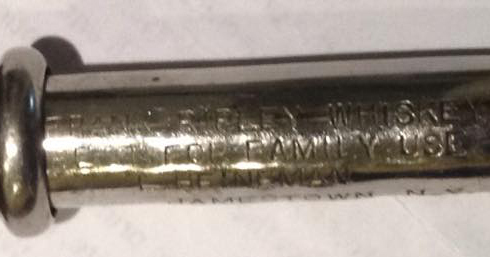 If you have a Frary Sullivan Bar Screw, or a Frary Fifth Avenue Bar Screw, I would love to trade for them. Over the course of this past week, there has been one particular eBay item on my watch list. A nice variant made by James D. Frary, I knew that this one wouldn’t slip through. Well, I kind of hoped it would. I actually already have this, and it was in my best six of last year (meaning 2013). Still, why not have a pair. Two bids, at the end of the first day, both Robert and Tommy. Okay, well, maybe it won’t go too high. Maybe I still have a chance. Then, I get a note from Ian saying that he is interested. That would be Ian NOT Ion. Of course, one of the reasons that the piece wasn’t going to slip through, was that it was being sold as a Frary. Apparently, in seeking out information about the piece, the seller had found my website, and even cites it in the listing. Wayne! You could have emailed me a picture, I would have bought it from you (hint hint hint). 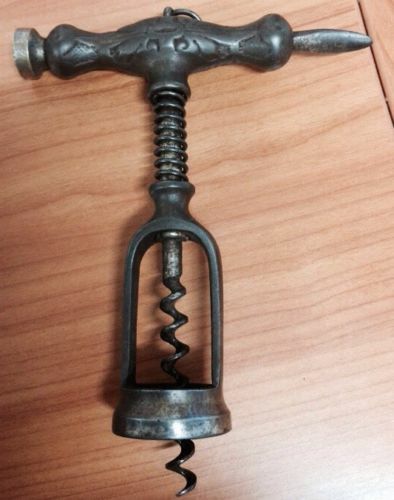 Yes, since listing the corkscrew, the seller and I had exchanged emails. Apparently, he found it on the garage floor at an estate sale in Oregon, although didn’t disclose what he paid. Still, I offered up an appraisal of the item, as apparently he had been getting Buy it Now requests (not from me), and I told him what it should ultimately sell for–a range anyway. As the auction was winding down, it was still at 315 dollars, with Robert in the lead. With a minute or so to go, I decided to go ahead and throw out a bid. Maybe Ian wasn’t going to go for it (that would be Ian not Ion). And, maybe RL and TC aren’t really that excited about it. I bid, and for a moment I was the high bidder, only to be taken out in the closing seconds by Ion. That would be Ion not Ian. 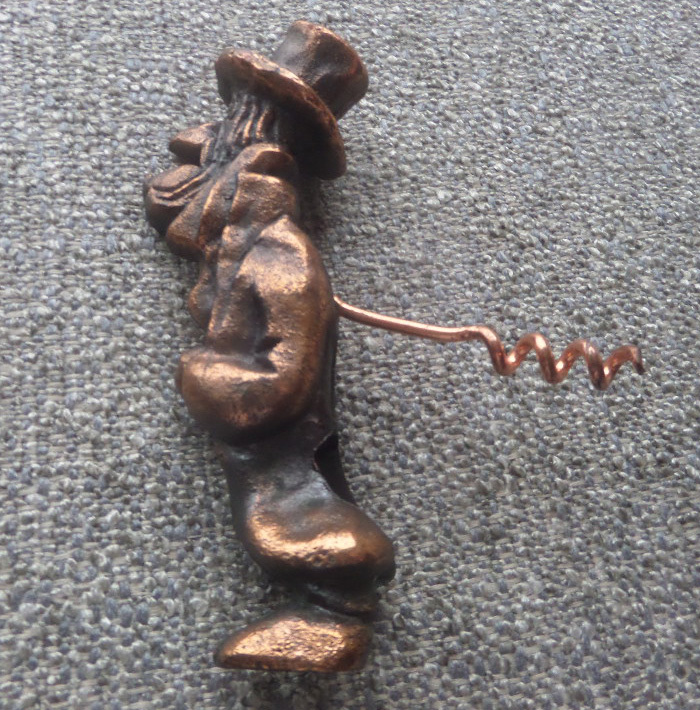 Over the years, several of us have found this figural corkscrew with fold out corkscrew that looks similar to the Old Snifter, but was made a little more crudely. 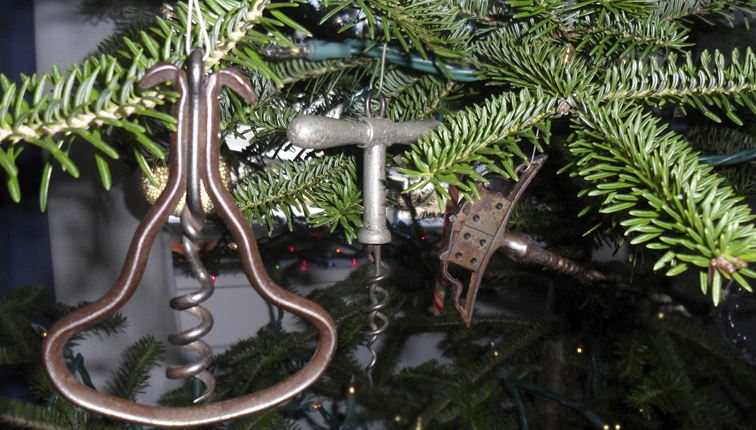 In nickel or bronze finishes (and with and without a corkscrew). they are pictured in Bull’s Figural book, in the Kirby section, on page 189. 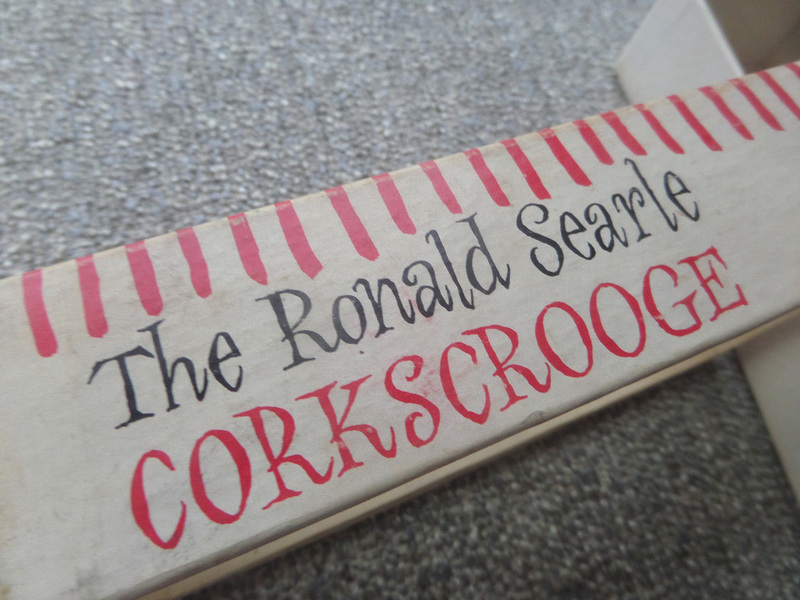 Just this week, I managed to acquire a second example (the first is now in TC’s collection) but this one came with a box–and the box–is marked Ronald Searle’s Cork Scrooge, Tarrymount, Inc, Bridge, Conn.
Now, the artist Ronald Searle did many illustrations that featured a corkscrew, and he did many illustrations of Ebenezer Scrooge. 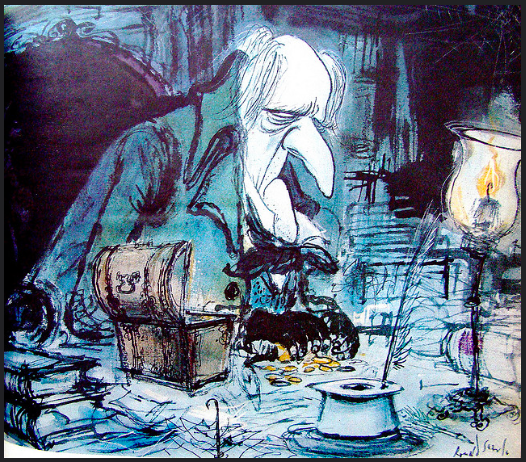 In the 1968 (August) issue of the Official gazette of the United States Patent Office, it explains that that the trademark registration for CORK-SCROOGE was canceled. 1. 1860 M.L. Byrn patent #27,615. Marked across the handle “BYRN’S PATENT MCH. 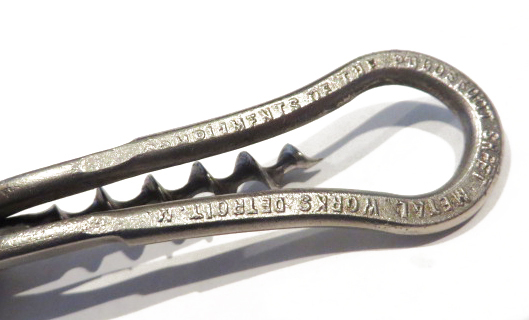 27, 1860.” This is the first known signed example of the “first” American corkscrew patent. While awarded on the same day, Byrn’s patent was processed two days ahead of Blake’s (see O’Leary, 1996, p. 32). 2. In doing research into the corkscrews manufactured by James D. Frary, I have run into multiple references that suggest that Anton Trunk was involved with Frary’s cutlery company (note the bank check below from The Frary Cutlery Co. signed by Anton Trunk). I have long wanted a Trunk patent, but with the Frary connection, it was that much more motivating to add one to the collection. 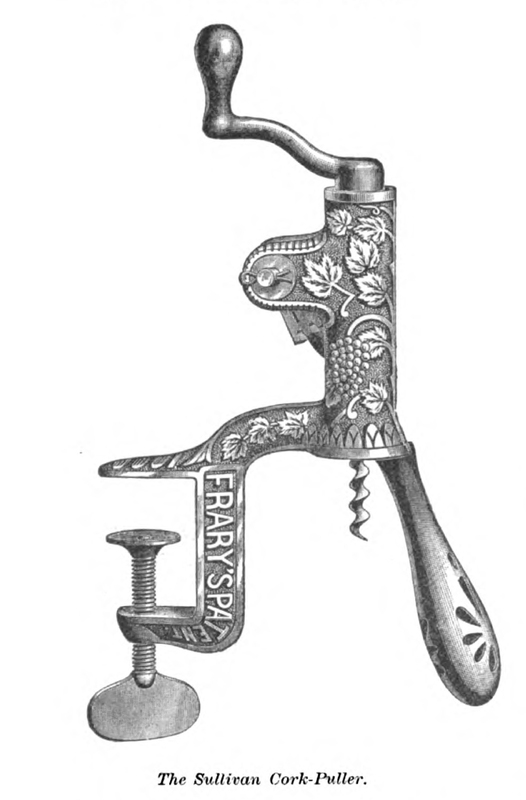 This is Anton Trunk’s 1886 design patent (#D-16,799) for a corkscrew (see O’Leary, 1996, p.75). (see L’Africain 2012 at http://www.the-icca.net/library/Detroit_Corkscrews/index.html and O’Leary, 1996, p. 84). 4. 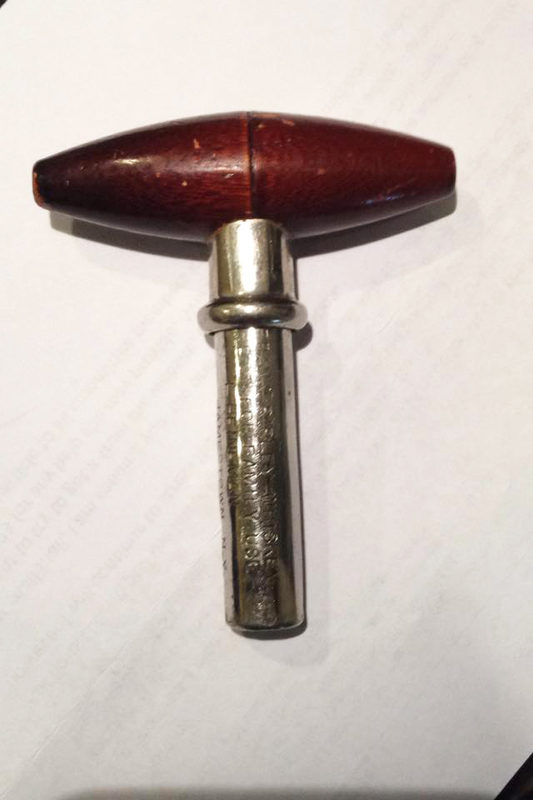 Turned acorn end handle Murphy direct pull, with blade on the side. Marked “R. MURPHY BOSTON” (see Nugent, 1990 at http://www.the-icca.net/library/Nugent/01.html). 5. 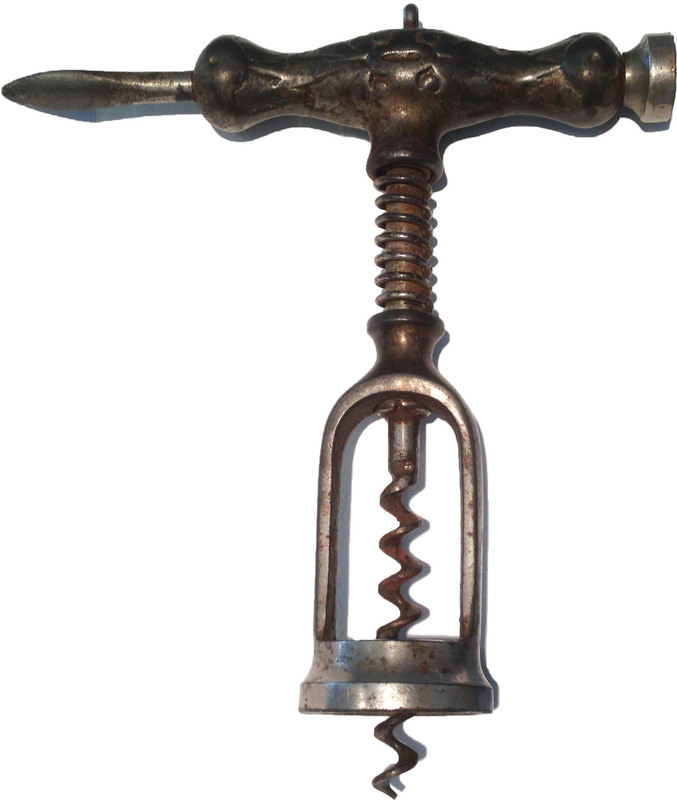 Folding Hicks & Reynolds bell assist corkscrew with stirrup-shaped handle; unmarked (see Peters & Giulian, 2006, p. 111). 6. 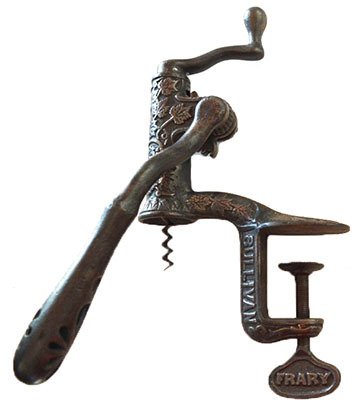 James D. Frary oblong handle corkscrew with integrated bell—unlike Frary’s other bell assist corkscrews this is one solid piece (see L’Africain, 2010 at http://www.the-icca.net/library/Fraryations/1.html and L’Africain, 2013 at http://www.the-icca.net/library/Finding_Frary/1.html ). From an 1895 issue of Hardware Dealers’ magazine. Columbian Door Securer.—A dead-lock for doors. Lock and key combined with corkscrew, all in a nicely nickel-plated or polished brass case, to be carried in a vest pocket. Agents wanted, can make 150 per cent., $10 to $25 per day to the right one. Sample by mail 50 cents. J.H. MATTHEWS 312 E. Monroe St. South Bend, IND.